Lily Sends Her DNA Off Into The Wild Blue Yonder. Hello There Furiends, Lily here. My Basepaws kit arrived and I inspected it with great interest. What a small package for something that can tell so much about a kitty! The Female Human read me the instructions. First she had to register my kit on the basepaws website. She got to tell them a little about me and even uploaded a photo. Easy Peasy. Then came phase two. She read the instructions about how she was going to gather this DNA stuff that they need. When she told me it had to do with two sheets of sticky strips placed along my back and then a gentle pull… suffice to say I was not on board . Human, this is what I have to say about your sticky strips. Step away from the fur! A lively conversation ensued wherein The Human promised that she would be gentle and the procedure would be a snap. We meowed back and forth about it for a while until I finally relented. She approached me with the sticky stuff in hand in fear and trepidation. I am the feline in the Tribe that turns into the Tasmanian Devil if anyone has the hubris to attempt to trim my claws. I allow no efforts to get me in a harness and don’t even mention picking me up for a cuddle. I thought , “This could get ugly quickly”. Imagine my surprise when she laid the first strip on my back, gently stroked it and then, even more gently removed it! The second strip was applied just as easily. To say we were both relieved would be an understatement and the first aid kit was returned to the pantry unused by The Female Human. The strips were put together as per the instructions, slid into the little stamped envelope and sent off to Basepaws. Now we wait! Human, that wasn’t bad at all! I can’t wait to find out more about myself because I am a very interesting feline. Before I say goodbye I’ve been advised I must include something humans refer to as a “Disclosure”. You humans have to complicate everything! We were provides with a complimentary Basepaws kit in exchange for my opinion of the process and the product. 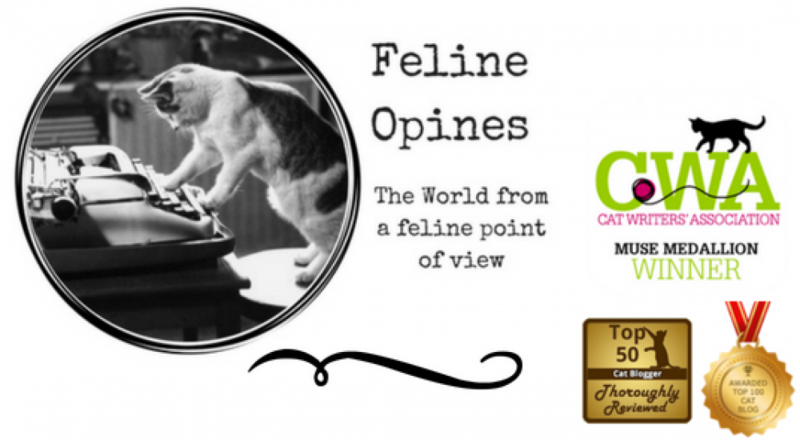 All of the included images, the written content and the opinions are original and from Feline Opines. Although I’ve linked to the company these are not affiliate links and Feline Opines receives no commission or monetary gain from purchases. We just like to report to our readers about new, cool stuff.